The countdown to Christmas 2016 is under way so here are a few ideas for C20-lovers on your gift list. 1) Celebrate Christmas and support our post-1914 architecture and design with a gift membership of C20 Society for friends or family. At just £55 a year for individual membership (£40 concessions), benefits include access to members-only tours and walks, and copies of the beautifully designed C20 magazine delivered straight to your door. Order by 16 December for Christmas delivery. 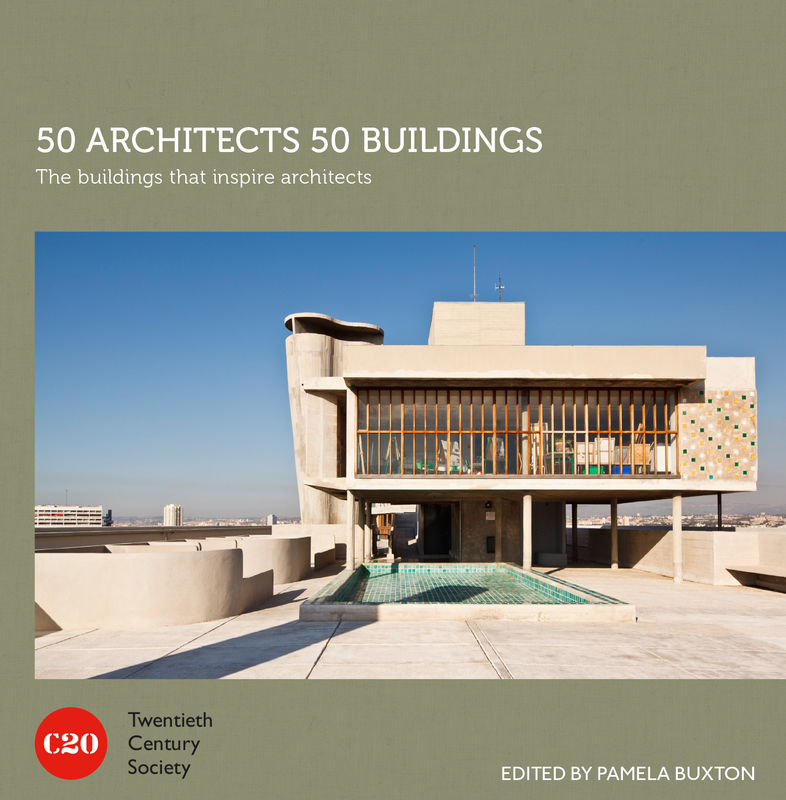 2) From the Eames house to Maison de Verre via the Byker Estate, 50 Architects 50 Buildings (Batsford, £30), is a tour of great C20 buildings that inspired today’s architects. Beautiful new photographs from Edward Tyler and Gareth Gardner are the perfect accompaniment to these interviews by Pamela Buxton. And, of course, 100 Buildings 100 Years is also available if you haven’t yet given it to all your friends. 3) It’s been a great year for books about Brutalism. One of C20’s favourites is Barnabas Calder’s Raw Concrete: The Beauty of Brutalism (William Heinemann, £19.99), which focuses on eight British buildings. 4) Fifties Style – Home Decoration and Furnishings from the 1950s (Middlesex University Press, £9.99) covers fabulous mid-century decor – from kitchens and bathrooms to wallpaper, furniture and paint. 5) Find out what it’s like to have a home in one of London’s most desirable C20 estates. In Residents: Inside the Iconic Barbican Estate (Barbican Centre, £30) photographer and Barbican resident Anton Rodriguez showcases 22 homes. 6) Featuring more than 70 extraordinary archive photos, Building the Brutal (£15, Barbican Centre) takes you behind the scenes during the construction of the Barbican Centre in the 1970s. 7) There are 9 press-out models to assemble in Zupagrafika’s Brutal London: Construct Your Own Concrete Capital, (Prestel, £19.99). Texts by John Grindrod and photos by Peter Chadwick make this an informative and fun way to explore buildings like the National Theatre, Balfron Tower and Robin Hood Gardens. 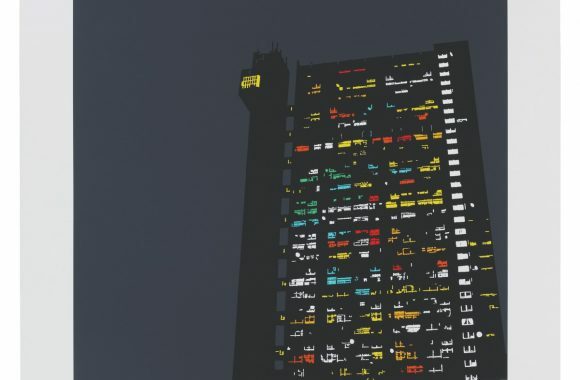 8) Trellick Tower is lit up with coloured lights in this striking Habitat print by Jason Lilley (£50). Equally iconic is Sheffield’s Park Hill estate, available as part of The Modernist’s ‘Estates’ series of posters in a choice of four colours (£30 + £7.50 p&p). 9) Use it or frame it – the Blue Crow Media Art Deco London Map (£8.00) features 70 examples of Art Deco in the capital, ranging from 55 Broadway and the Hoover Building to some of Charles Holden’s best work on the Underground. 10) Sir John Soane’s Museum shop showcases the beauty and versatility of brutalists’ favourite material with unusual concrete earrings in grey or dark grey (£85). Diamonds are a girl’s best friend, but concrete in a stainless steel setting is an eye-catching alternative. 11) You can buy a selection of hand-made pieces of Rye Pottery via the Emma Mason website. The range includes an elegant mid century lamp base (£495), small vase (£40), and cottage stripe bowls (£22, in three colourways). These make beautiful and unique gifts. 12) For mid-century-inspired stocking fillers, try MadeByMrsM. From A6 notebooks featuring Croydon and Sheffield (£2.60) to Barbican or Battersea Power Station-themed card holders (£10), there are lots of great ideas here for C20 fans.